By William Breathes on December 9, 2014 Follow that story, News, Say what? Last week, we told you about the Town of Granby’s efforts to block a pot shop and grow by annexing the unincorporated land its owner had leased; see our previous coverage below. A hearing about the matter was supposed to be held on Friday, but it was postponed to allow the Granby Board of Trustees to vote on the matter. But the attorney for the shop suggests that should the vote go the wrong way, litigation will follow. As we’ve reported, MMK Limited, which does business as Grand Life Solutions, leased land in unincorporated Grand County and wants to place a cannabis store and grow there. 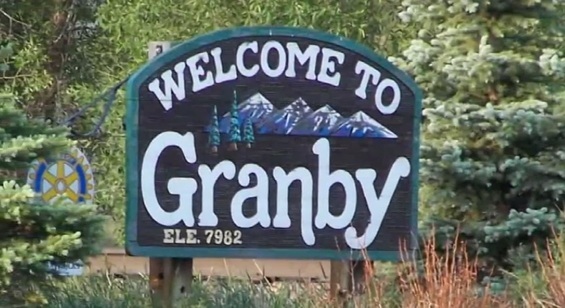 But while the land is technically part of Grand County, which allows recreational marijuana sales, it’s located in an enclave surrounded by the Town of Granby, which has a rec-sales ban in place — and Granby officials have threatened to annex the lot leased by MMK to prevent the shop and grow from opening. Attorney Robert Hoban, who represents MMK, offers this update about the situation. Westword has the full story.